A little higher, a little sleeker, a little more youthful, the vintage-inspired Catie T-strap pump is most definitely not your mama?s high heel. 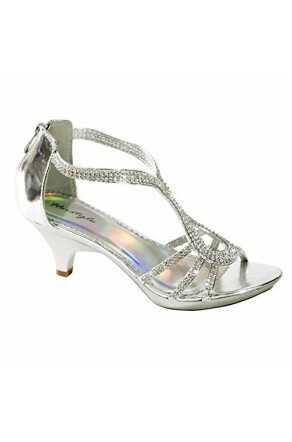 Retro strides are touted with a 4.75-inch wedge heel, a 1.25-inch platform, a trendy ankle strap, and modern flair. Sport a classic look with an avant-garde fashion in black, fuchsia, and taupe in sizes 5 to 11. This t-strap wedge goes above and beyond my expectation. It fits great and very true to size correct. It makes me feel like a fashionable school girl. I will order more when I get my next paycheck. I highly recommended Shoeland for all shoe lovers!